Whether you agree with him or not, Ahnsahnghong had a group of followers while he was alive. (I guess that isn’t saying much though since even the likes of Jim Jones and David Koresh had followers). 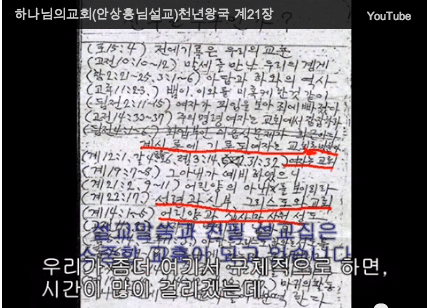 What is of interest to us though, is what happened to those followers after Ahnsahnghong died in 1985? It seems that after the death of Ahnsahnghong in 1985, his followers split into two groups, that both claim him as their founder. The first group is called the New Covenant Passover Church of God. This group strictly follows the teachings of Ahnsahnghong according to his writings (many of those teachings are easily debunked by first-year seminary students, or articles in our evidence section). This group does not believe in the “mother god”, a.k.a. a Korean lady named Zhang Gil Jah. Their web site clearly lays out how they follow the teachings of Ahnsahnghong, and that there is no support anywhere in either his writings or in the Bible for a “mother god”. Somehow or another, (for reasons probably known only to Zhang Gil Jah and others who were around at the time), some of Ahn’s followers began to teach that Zhang Gil Jah (Ahnsahnghong’s former lover) was god. This group of followers is today called the “World Mission Society Church of God“. From what we’ve read in Ahnsahnghong’s writings, he never claims to be divine, and he also never speaks about a mother god. When my friends in the WMSCOG try to argue for the existence of a “mother god”, they use the same three tired, old, Scripture-twisting arguments that have already been completely debunked in our evidence section and elsewhere, namely: Genesis 1, the word “elohim“, and Revelation 21. 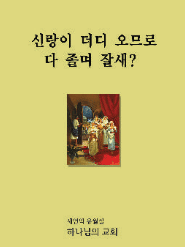 What I’m saying is, in short, they never use Ahn’s writings to argue for the Korean lady Zhang Gil Jah to be god. Rather telling, isn’t it? The WMSCOG proves our point for us in that the members never argue from Ahn’s own writings for the existence of a mother god, but instead try to twist Scripture to invent their proof. If Ahnsahnhong had ever actually said anything about a “mother god”, then the New Covenant Passover Church of God, wouldn’t have a leg to stand on, would it? Instead though, what we find the reality on the ground is that the New Covenant Passover Church of God is very much alive and preaching against the WMSCOG and a “mother god” on their site. Unlike the WMSCOG, they even pray in the name of Jesus. In my opinion, even though I disagree with and have already disproved what Ahnsahnghong taught, I’d say that at least the New Covenant Passover Church of God is following the teachings of their founder Ahnsahnghong, whereas the WMSCOG contradicts him. You be the judge though. What are your thoughts?